Our higher elevation destinations have some great deals out there. Running Springs and the Twin Peaks Market are going strong. 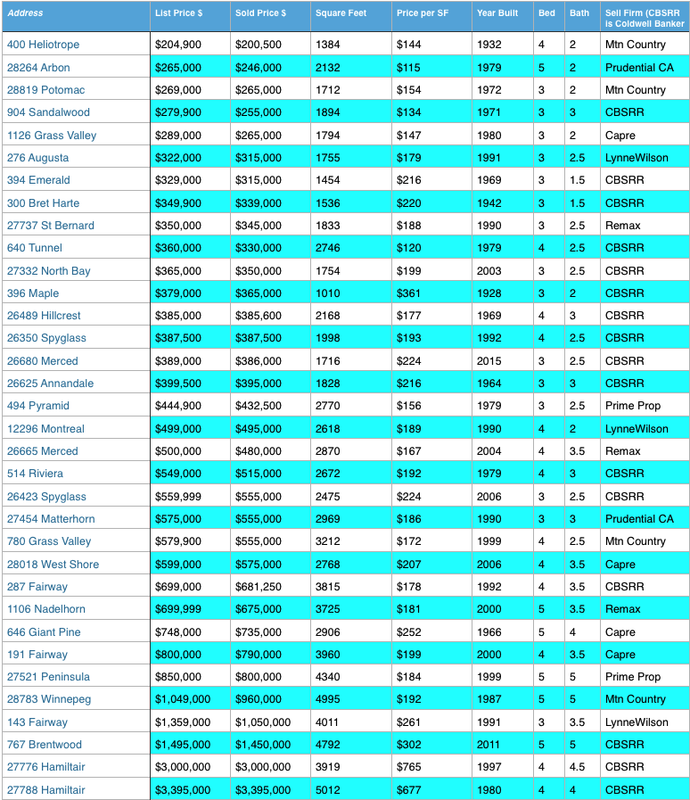 Home sales in Lake Arrowhead are still going strong for the month of November. We are hitting the last month hard to finish strong. If you are thinking of selling, inventory has dropped and it is a GOOD time to list your home. The Blue Jay Christmas Parade will be Saturday December 5, 2015 in the Heart of Blue Jay. Be sure to get in to Blue Jay early to get a good spot and get there before the road closes. The parade starts sharp at 2PM. The road on Dailey Canyon and 189 will close at 1:00PM and reopen at 3:00PM. Get ready for the longest, shortest parade around. We officially received our first real snow here in Lake Arrowhead. The photos above were taken at Tavern Bay Beach Club. Our weather this weekend has been a bit chilly with the high today at 35 degrees. Every Friday November 20-December 18 from 5PM-8PM at Center Stage there will be live music. Stop by while you are Christmas shopping. Are you familiar with the Taste of Lake Arrowhead? If you are not, this is one of the best events all year. 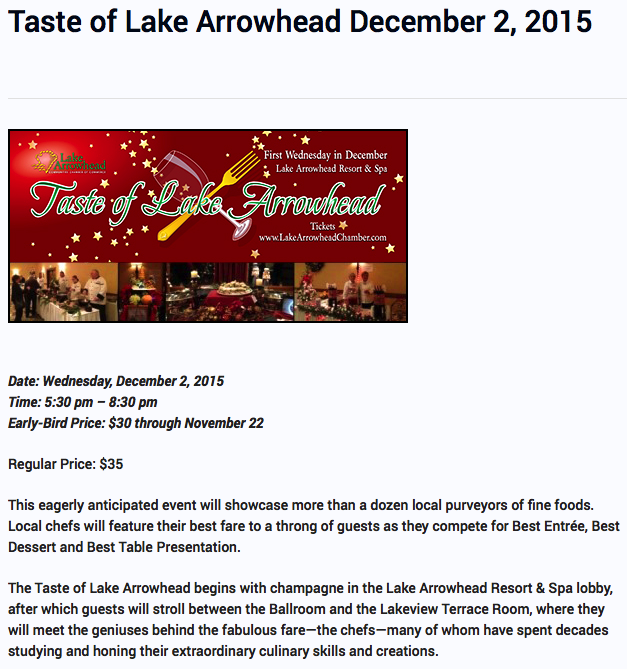 Hosted at the Lake Arrowhead Resort this is a night of great food, drinks, music and holiday cheer. Restaurants from all the surrounding areas of Lake Arrowhead participate in a night of sampling from some the areas best foodies. Bring an unwrapped gift for our toy drive and bring your appetite. Strong is to put it lightly, Lake Front Sales in Lake Arrowhead are very Healthy for sure. 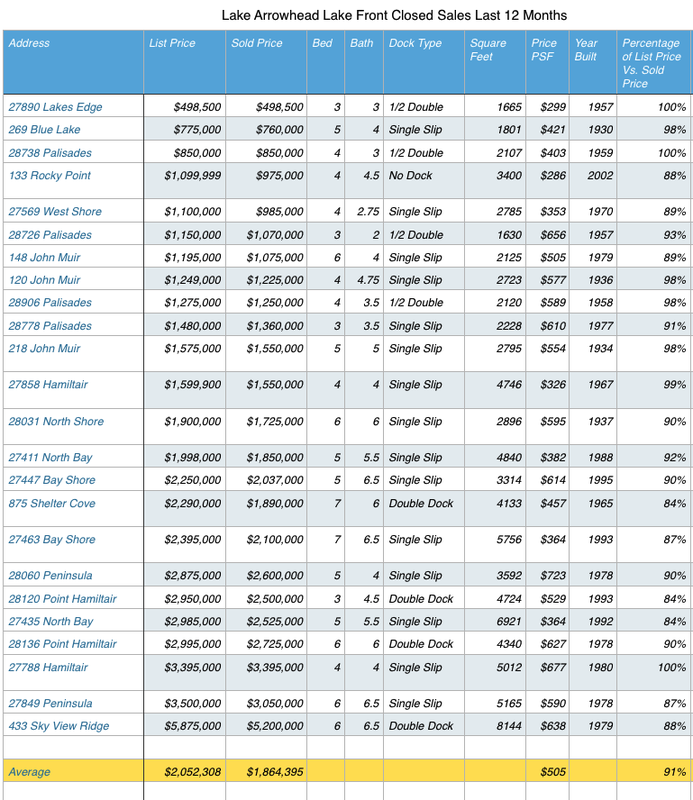 The chart below shows lake front home sales in Lake Arrowhead for the last 12 months. All information was obtained by RIM AOR and is deemed reliable but not guaranteed. 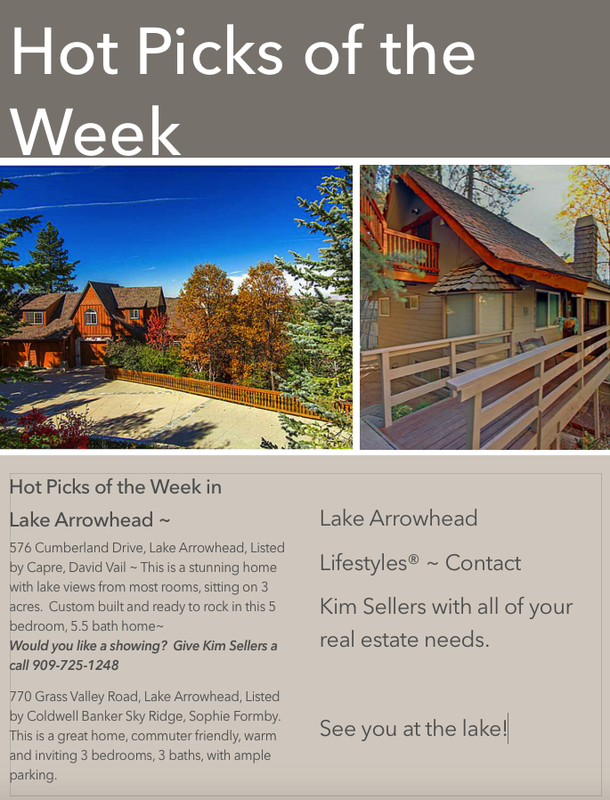 If you have any questions or are thinking of purchasing or selling a lake front home in Lake Arrowhead, call Kim Sellers a specialist in Lake Arrowhead.